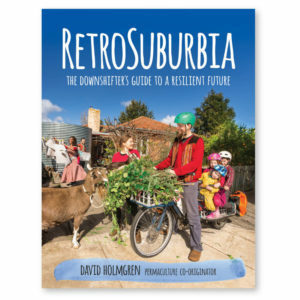 David Holmgren is best known as the co-originator with Bill Mollison of the permaculture concept following the publication of Permaculture One in 1978. Since then he has developed three properties, consulted and supervised in urban and rural projects and presented lectures, workshops and courses at a wide variety of events and venues in Australia and around the world. His writings over those three decades span a diversity of subjects and issues but always illuminating another aspect of permaculture thinking. At home (Melliodora in Hepburn, Central Victoria), David is the vegetable gardener, silviculturalist and builder. Within the international and growing permaculture movement, David is respected for his commitment to presenting permaculture ideas through practical projects and teaching by personal example, that a sustainable lifestyle is a realistic, attractive and powerful alternative to dependent consumerism. 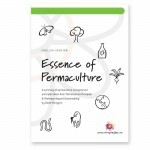 As well as constant involvement in the practical side of permaculture, David is passionate about the philosophical and conceptual foundations for sustainability, the focus of his seminal book Permaculture: Principles and Pathways Beyond Sustainability. This book has been significant influences on the development of Transition Initiatives around the world. More recently his Future Scenarios work has seen him recognised as a significant thinker about the “Energy Descent future.” After a decade of significant international travel, David is no longer flying but continues to do some international presentations by skype and pre-recorded video including receipt of the recent award by Italian environmental organisation. 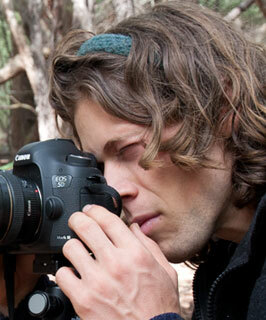 Oliver Holmgren, Su and David’s son has grown up in the permaculture life and business. At HD Oliver is the business partner providing IT support, collaborating with Richard Telford on web management and marketing as well as being the “purchasing officer” and advisor on anything technical. Oliver has been active with forest and land management, ecological hunting, construction and “obtainium” engineering at “the Wild” a bush property that he is developing. Oliver independently runs his own Apple Mac tech support business, is a photographer with his own website and has been a company director with NASSA, an organic certification company. He is currently “on leave” taking a long planned adventure touring trip on “Mawson” his KLR motocycle. See his blog Sunken Miles. Meg works part time in the HD office doing all kinds of admin jobs. If you find a typo on the website, it’s most likely Meg’s fault. Meg is one fifth of the arts collective Artist as Family who in 2013 rode their bikes from Central Victoria to east Cape York, guerrilla camping and foraging for as much food as they could. You can read about their adventure in their book, The Art of Free Travel. Meg is a community gardener, local food advocate, keen fermenter and bicycle activist. 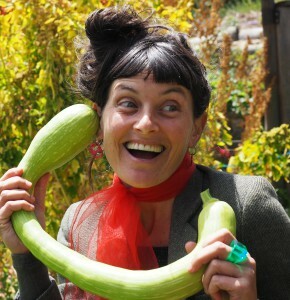 She lives with her family on a quarter acre permaculture plot in Daylesford. Richard helps co-ordinate new publications along with the design and layout for HD books, posters and website. 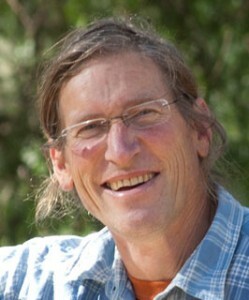 He created and maintains PermaculturePrinciples.com and is the publisher of the Permaculture Calendar. 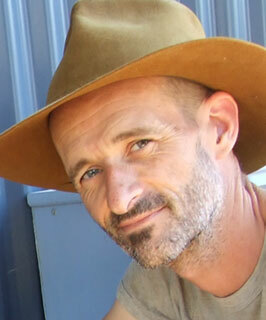 Back in 2000 he collaborated with David designing the permaculture principles icons. He writes a blog Abdallah House that documents his home at Seymour Victoria where he lives with his partner Kunie and their two sons, Kai and Sen.
Venie Holmgren was born in the little village of York, in Western Australia. She produced five collections of poetry, a poetry CD with music and a travel memoir. She was a veteran environmental and peace activist over more decades than most of us have been alive. She has performed her work in pubs, cafés, prisons and at peace and environmental rallies and festivals. She performed abroad in Germany, India, Canada and the U.S. and was visiting poet at Georgetown University, Washington D.C. in 1998. 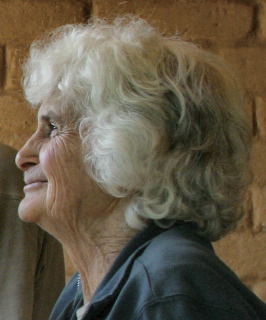 Her poetry was informed by a wide range of experience including 15 years of self reliant living in the passive solar house and permaculture garden documented in Permaculture In The Bush and her move to Melliodora. Her final collection of poetry is The Tea House Poems so called because it was written during her stay at the tea house in Melliodora. Available print on demand here, or at selected bookshops including Bookbarn and the Paradise in Daylesford. 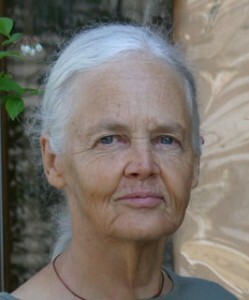 A sense of direction, a book about her time on the road in the late 1970′s includes her time spent with David just after the publication of Permaculture One. Poets of the Bega Valley includes her readings and interviews with Tim Metcalf. International Poets includes her poem, This Wind.